In the late period of NBA 2K17 release, NBA 2K17 announced the comeback of the Park After Dark event. "Park After Dark makes a comeback! 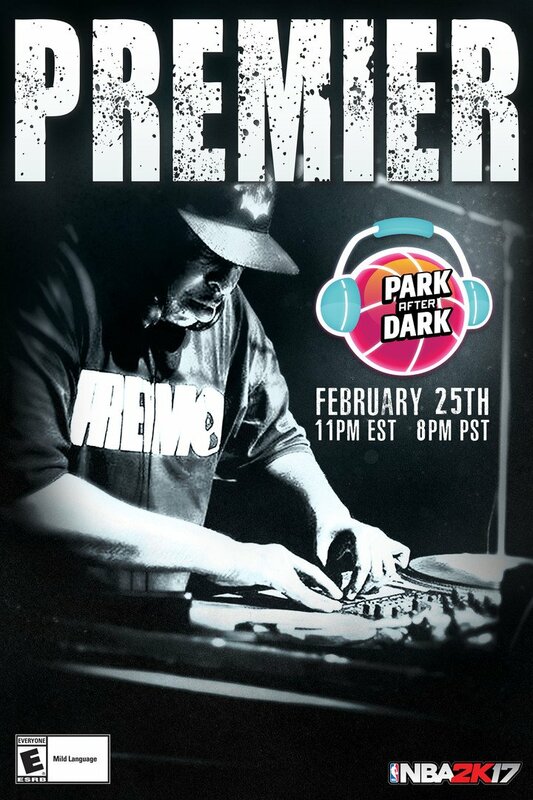 Hip hop Legend DJ Premier will perform for the 3rd ever P.A.D. event this Saturday at 11pm EST / 8pm PST." NBA 2K17 launched the first After Dark event on November 26, 2016 with the help of Snoop Dogg, and the second Park After Dark event started from December 30, 2016 with the hip hop superstar Future. Although these two times' After Dark event are met with terrible reviews as technical issues ruined the mode for many players, we're still expect the problems in previous events have been solved. We are waiting for the latest update!